Community-centered instruction on a world-class scale. Welcome to Rockory Music School, located in Kirkland, WA. Offering private lessons, ensembles, and classes to kids and adults. In the summer we also run our day camp program, offering kids a performance based experience of preparing and playing outdoor concerts to the public. 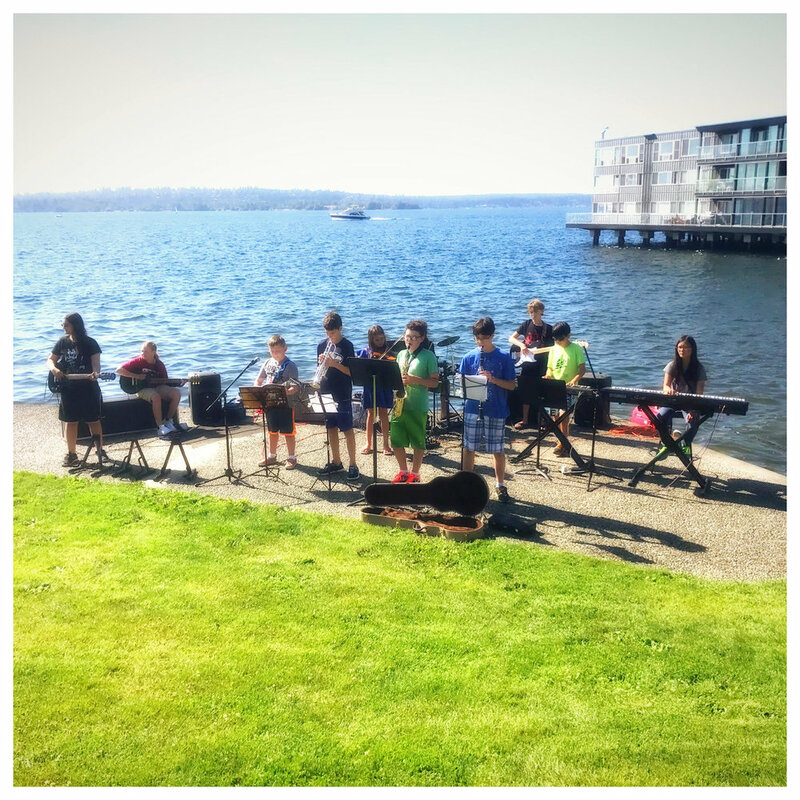 With an emphasis on Jazz, World Music, and R&B styles, we provide an innovative approach to music education that is unique to the Greater Seattle area. We partner with local schools and organizations such as the Kirkland Performing Arts Center and Juanita Elementary and the Lake Washington School District, to promote music in our community. Getting involved in music can be one of the most satisfying endeavors in life. Whatever the music student's goals may be, whether it is improving technique or playing in a band, learning a favorite song, or learning the ins and outs of music theory, recording, or appreciating a new genre, there is one thing that matters most: the quality of instruction. At Rockory Music School, we guide students through a complete understanding of music, without taking any short cuts. We provide the highest standards in teaching to aspiring musicians by sharing the joy that inspires us as professionals. Students at Rockory learn the components, methodology, and mental attitudes of a lifelong musician. Contact us today! GENRES Jazz, Rock, Classical, R&B, Reggae, Folk, World Music. INSTRUMENTS Piano, Guitar, Violin, Viola, Cello, Bass, Drumset, Ukulele, Voice, Percussion, Recorder. WHEN Mondays: 2pm-7pm, Tuesdays: 3pm-8pm, Wednesdays: 1pm-8pm, Thursdays: 2pm-9pm, Fridays: 2pm-9pm, Saturdays: 9am-5pm, Sundays: 9am-5pm. PREVIEW Take a quick peek at the video below to catch a glimpse of the Rockory experience!